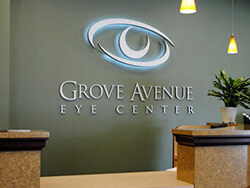 Signs are a great way to draw attention and establish a solid brand presence. They have a variety of applications and can be used in different situations. At Dave’s Signs, we provide a wide range of signs like outdoor signs, indoor signs, A-Frame signs, etc. This material is one of the most popular choices for weather-resistant signs. Aluminum can withstand heat, cold, dust, moisture, and other such other elements. It is easy to maintain and retains its visual appeal for a long time. It doesn’t rust and can be light-weight enough to move around. That’s one of the reasons why people prefer this material for most of their outdoor signage. This is an aluminum composite material that has a high-density polyallomer core in it. This material is fairly weather-resistant. It doesn’t swell or warp when exposed to moisture and lasts for a long time. It doesn’t offer as much weather-resistance as aluminum, but can help ensure your sign remains in a presentable condition for a long time. This is a very popular outdoor signage material because it is durable and affordable. PVC is a plastic material and is heavier than aluminum, which makes it a good option for windy conditions. This material will retain its appearance and appeal for a long time so it is a great investment. If you want to know more about sign materials or want to get high-quality signs, don’t hesitate to get in touch with Dave’s Signs. You can contact us online or call (805) 641-1387.